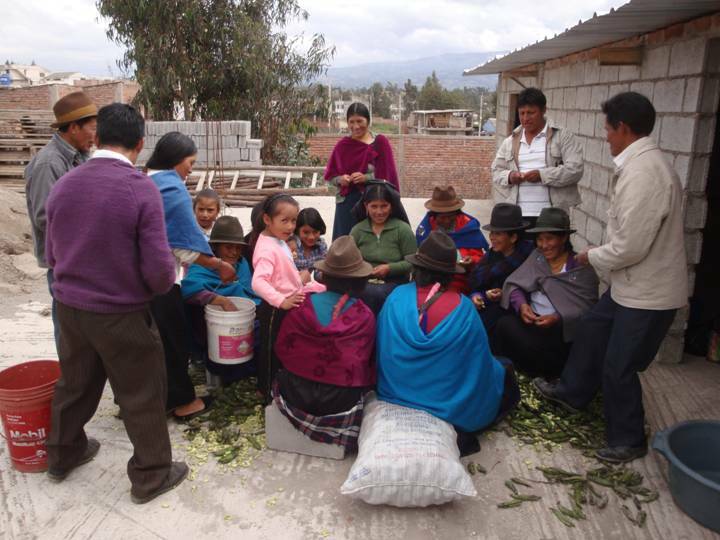 Quichua Bilingual Churches provide Abide in Christ opportunities to conduct Evangelism and Key Word Doctrine Conferences in the high lands of Ecuador. 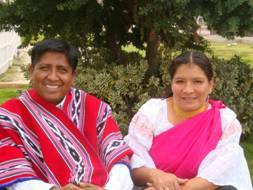 We use the term bilingual because these churches use both the Quechua language and Spanish. The importance of solid Bible doctrine was vividly demonstrated when I arrived at the church in Santo Domingo early Sunday morning. A group of Jehovah's False Witnesses were out on the sidewalk in front of the church harassing the true believers. I could not believe that they were on the street in front of the church approaching church members passing out their literature as the members arrived for worship services. I changed my message for that morning and presented the Deity of Jesus Christ and the Trinity, concluding my message with Philippians 2:9-11. Over the next four days I presented studies on justification, salvation, forgiveness, adoption, baptism of the Holy Spirit, Spirit filled life, regeneration, propitiation, redemption, sanctification, substitutionary penal atonement, God's eternal purpose for the believer, etc. The response to these studies confirmed the need and the hunger for solid Bible theology in these churches. 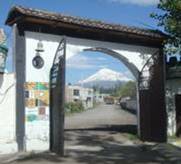 Alberto Copa, Director of Peniel Theological Seminary, and coordinator for our work in Ecuador had asked me to teach classes for the school and conduct workshops in Quichua churches on Bible doctrine. I have over 40 doctrinal studies prepared in Spanish which are also available on our websites. Monday and Tuesday mornings I gave a review of the Roman Road to a group in the church at Santo Domingo where I taught the evangelism workshop last year, and then we went out witnessing in groups of two. We had an excellent response. Again we met Jehovah's False Witnesses and visited homes where they had passed out literature. We were repeatedly asked what were the difference between JFW's, Catholics and evangelicals. In the evening services we continued with doctrinal themes. 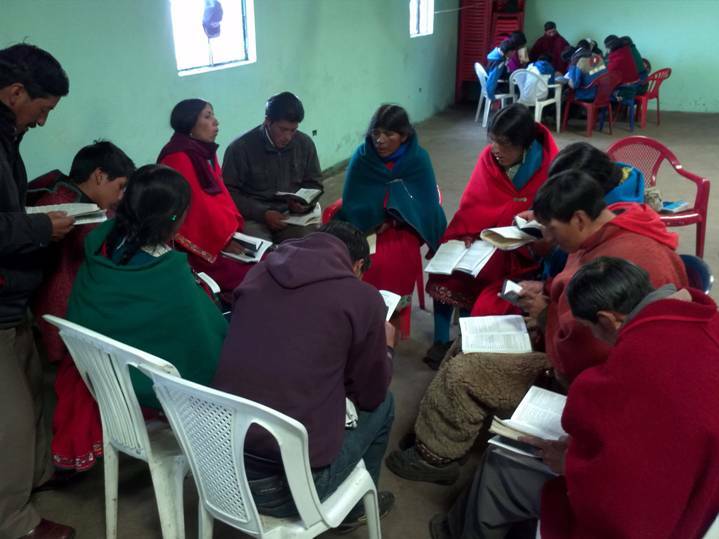 On Wednesday morning the pastor and church leaders asked me to teach them how to use their Bibles to give biblical responses to the cults, especially JFWs and Mormons. 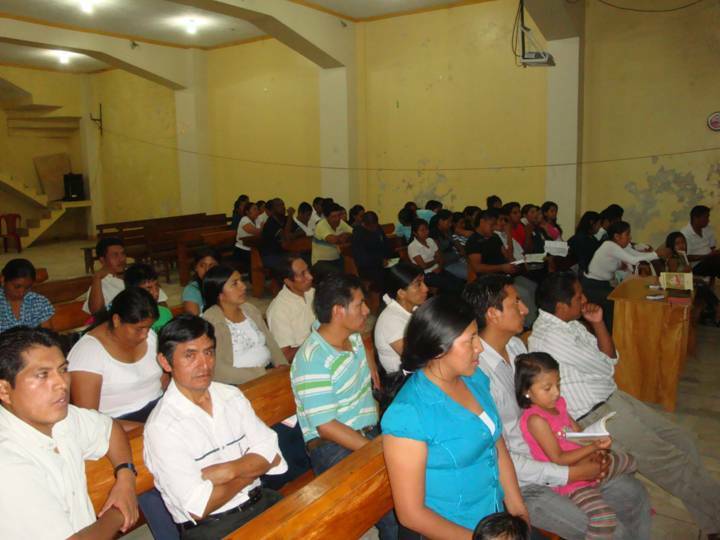 We moved on to the coastal city of Guayaquil and continued teaching Bible doctrine in a bilingual Quechua church. The focus was on church leaders and the youth. 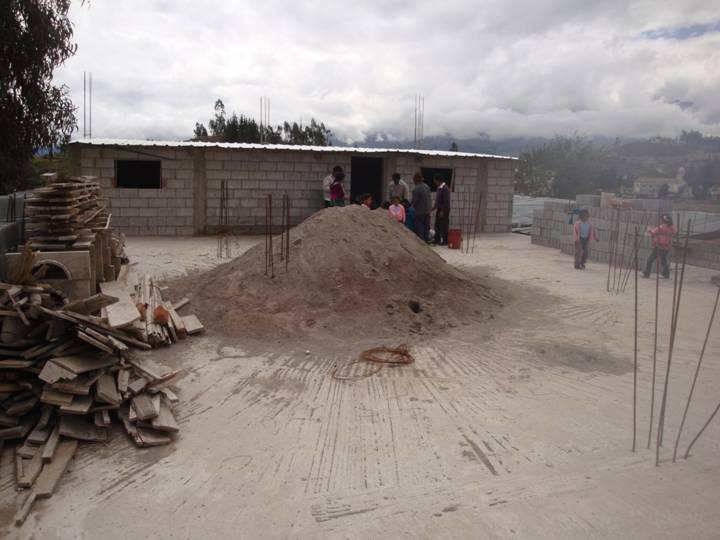 At the Genesis Bilingual Church in Riobamba, I also taught doctrinal studies. In each of these churches they repeatedly asked me to return and continue these studies. Guayaquil youth leaders special workshop on Bible doctrine. 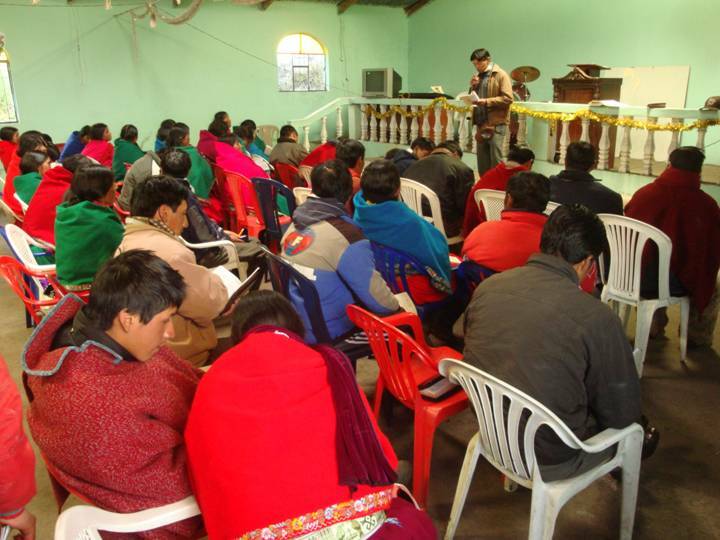 We also conducted an evangelism workshop at the bilingual church in the high Andean community of Cocan. 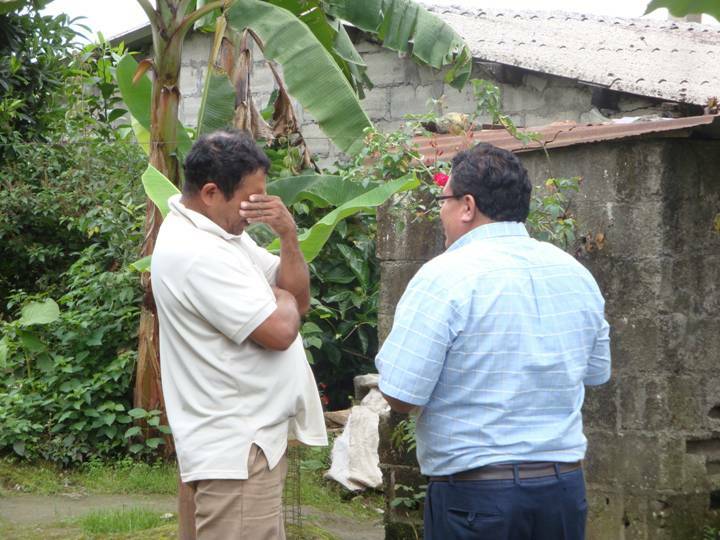 The pastor is a seminary student and excited about what God is doing in his church. 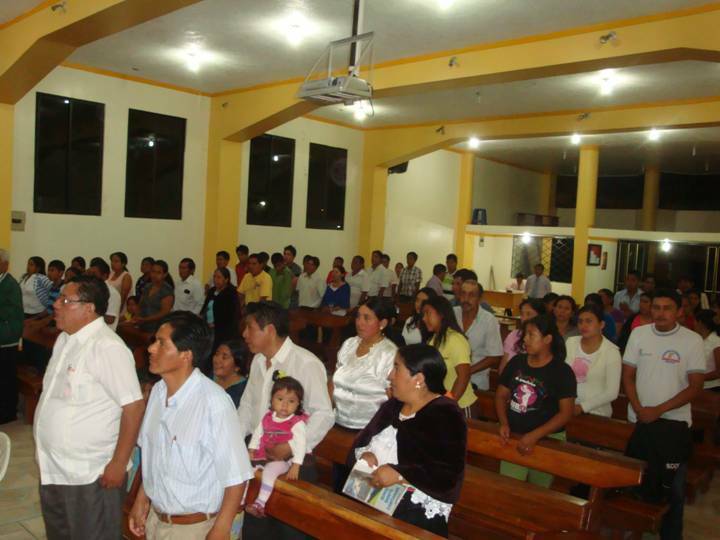 Bilingual Evangelism Conference at Cocan, Ecuador. 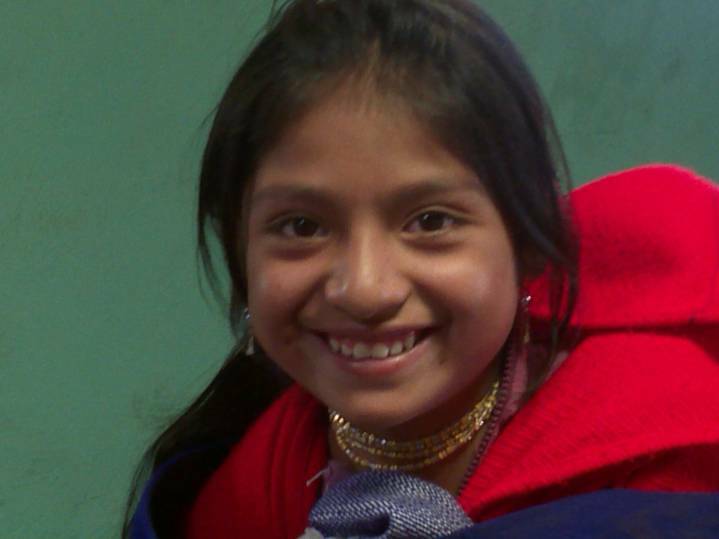 Participant in one of our workshops in Ecuador. Cooks preparing meal for evangelism workshop participants at the Genesis Church. q Pray for Alberto & Nancy Copa. You can listen to his bilingual Bible studies on Abide in Christ website: AmaCristo.